Jane is a multi-talented Artist. A Certified Valerie Stewart Portraits Instructor. Landscapes, Seascapes, Floral and Wildlife. A One Stroke Certified Instructor (OSCI) by Donna Dewberry. A Studio Home Dimensions (Polymer Clay) Regional Trainer. Jane has been working with Polymer Clay for over Fifteen years. 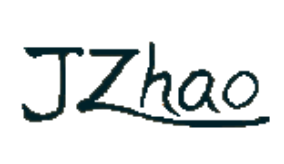 A traditional Chinese Landscape and Chinese Calligraphy artist. Jane's arts were featured in many magazines and books. or contact Jane at: janes.gems@gmail.com for details. If you want to order art objects or have any questions, please contact Jane. 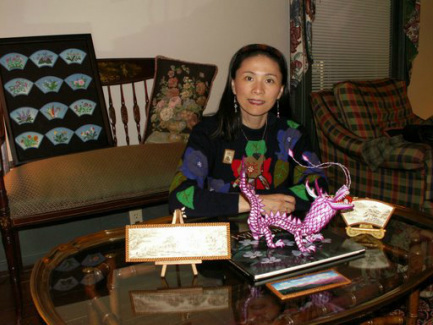 Above Jane Zhao with a few of her most fabulous creations in polymer clay displayed around her. 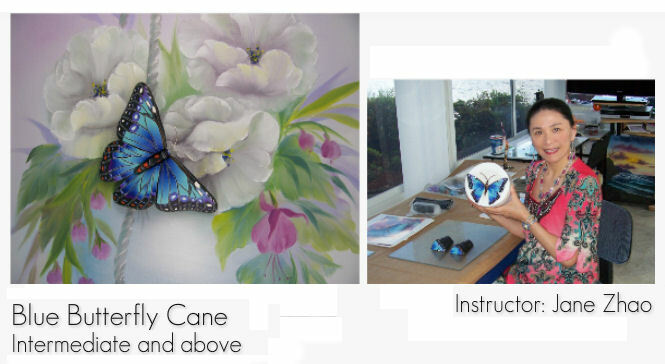 Blue Butterfly Cane for Intermediate to Advanced Polymer Clay Artists through CraftArtEDU! Polymer Clay Humming Bird Cane. 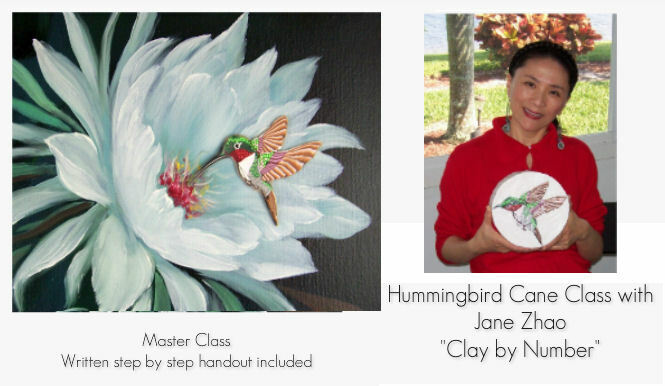 A Master Clay by Number Class through CraftArtEDU!